When Connor Matherne was in fifth grade, his older brother got a telescope. It would be around a decade later before it was ever used. On a whim in his sophomore year of college, Matherne found the old telescope coated in dust in his brother’s room and stole it. The Baton Rouge skies were clear that night, so Matherne haphazardly pointed the telescope at the brightest object in the sky. He looked through the eyepiece—without so much as focusing it—and immediately saw Jupiter and its four moons. He held up his phone to the telescope and snapped a grainy photo of the white blob. He was hooked instantly. Now, Matherne is an LSU graduate student who works in the university’s Planetary Science Laboratory. He stays busy, working with NASA to help determine a landing site for the Mars 2020 Rover and teaching at LSU’s sedimentology lab. The rest of the time, he’s photographing the planets, stars and galaxies that have fascinated him for years. And those telescope images aren’t grainy like that first shot he took—his stunning celestial photos have helped him accumulate more than 10,000 Instagram followers on his handle @cosmic.speck. He was even nominated for the 2018 Insight Astronomy Photographer of the Year, a competition organized by the Royal Observatory outside London. His photos contain hot pinks, light purples and a shade of blue you swore only existed in bottles of Cool Blue Gatorade. And once you look at one of Matherne’s photos, a deep dive into his Instagram feed is pretty much inevitable. You don’t have to scroll long before you are swept up in brightly colored photos of sparkling universes, the Pacman nebula and the Splinter Galaxy and learn about them in his detailed captions along the way. We sat down with the man behind the ‘gram to chat about all things space-related and galaxies far, far away. 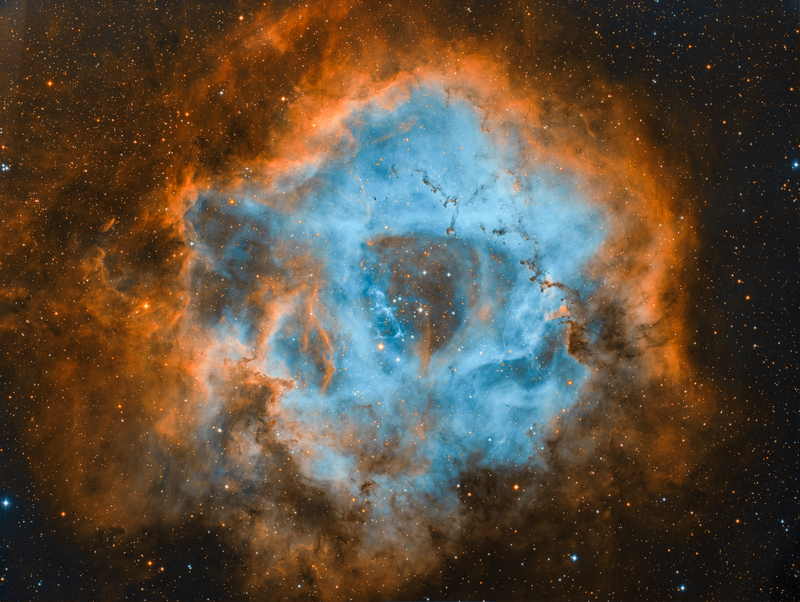 Matherne’s image of the Rosette Nebula, where a cloud of incredibly hot gas produces thousands of stars into the universe. Images courtesy Connor Matherne. What happened after you took that first photo of Jupiter and its moons? I was like, “I wonder how well you could do this if you tried.” So I was looking around online, and I saw some pictures of nebulas and galaxies. I assumed Hubble took these, but no, it was like some dude in Arizona in his backyard. I would study them; I would look at other images and equipment. I joined different online forums to ask questions. Eventually, I got to the point where I had my brother’s telescope, my mom’s DSLR, I bought an adapter online that essentially allows you to use the telescope as a camera lens. I took a picture of the moon and one of Saturn. How does that compare to your astrophotography work now? I have one telescope for outreach and planetary work, and then I have an observatory in New Mexico where I have a slew of different setups that I can use remotely. We are in the process of building a new observatory in Chile in the Atacama Desert, so I will be switching to that observatory once it’s done. How does that work—working remotely with telescopes around the world? A lot of different people use them, so we debate over which targets we would like to photograph. Eventually, we find ones that we like, and we upload it to this program that’s a scheduler. Essentially, the scheduler knows where [the target is] in the sky, knows how high it gets, and it’ll do things like look at the moon’s position relative to it. It works out the best time to photograph each object. Every night we’ll probably shoot three to four different objects. What do you do once the camera takes the photos? Each ending photograph is a combination of anywhere from 40-100 different pictures. There’s this thing called the signal-to-noise ratio. A lot of these targets are so dim you can barely see them. First, we calibrate them. Then, we stack them together to get rid of the noise. You pretty much get free reign on what you want to do with the colors. Is there an astrophotography scene in Baton Rouge? Within the Baton Rouge Astronomical Society, there’s a group of around four people that are really into astrophotography. They have a meeting once a month … they’ll set up in [someone’s] backyard, and they’ll spend the whole night taking pictures … I’ve processed some of their images for them. It’s always fun to work with amateur data captured in Baton Rouge. It’s also really great for doing our outreach events. We have one once a month at Perkins Rowe where we’ll bring our telescopes and have people look at them. It’s really nice because I get to at least show them what a camera sees because Baton Rouge is filled with light pollution. You can’t see some of these things nearly as well as a camera can. What do you hope people take away from your photos and astrophotography as a whole? They’re almost entirely for aesthetics.There’s not much scientific work that goes on there. Not always, though—there are some cases where a supernova will go off in some of these pictures, and we’ll be able to record it. Two people caught a meteor exploding on Jupiter … A friend of mine actually discovered a new galaxy in his pictures. What I think it’s most important for is sort of like what Hubble does in that it gets the public excited about astronomy. That alone is huge. 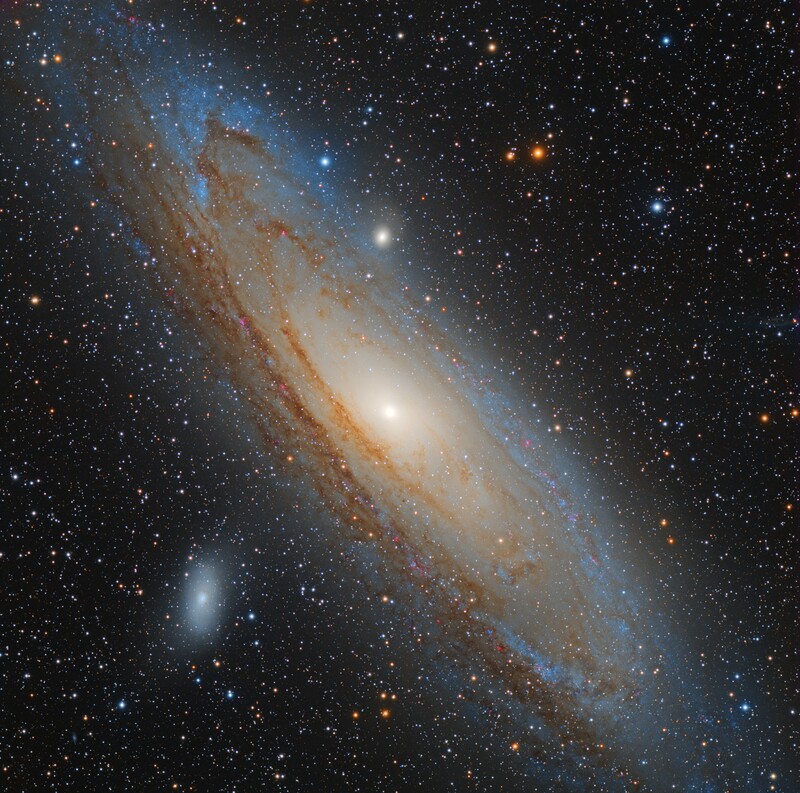 I’ve talked to so many people who after seeing my images, they fall in love with astronomy. That’s what it was for me. I wasn’t huge into astronomy until I got into the photography aspect of it. After that, it became a way bigger part of my life. Find Matherne’s images on Instagram at @cosmic.speck.